Alfred was born in Eton Wick around 1890, although no early trace has been found of him in the records checked. His parents were Arthur and Catherine Annie Iremonger, and when they moved to the village they lived at No. 1, Tilston Villa, Tilston Lane, Boveney. This is now known as the Eton Wick Road, Eton Wick. He had at least one sister, who later married and became Mrs Sharpe of Somerville Road. Arthur enlisted in Maidenhead and served with the 1st Battalion of the Royal Berkshires, which was one of the regiment's two regular Battalions. At the outbreak of war the Battalion was stationed at Mandora Barracks, Aldershot. On August 13th 1914 they arrived at Rouen, and 10 days later saw their first action against the Germans, during the long, weary retreat from Mons. At this early stage their casualties were relatively light. Presumably Arthur saw none of this as he is reported as enlisting on September 9th 1914 as a lance corporal. This suggests he may have been a regular soldier a few years earlier and was rejoining his regiment. The facts of this have not been positively established however. The 1st Berkshires next saw action in the First Battle of Ypres, fought between mid-October and mid-November 1914. On this occasion their casualties were heavier, and so many officers were wounded or killed it became necessary to commission N.C.O. 's in the field. 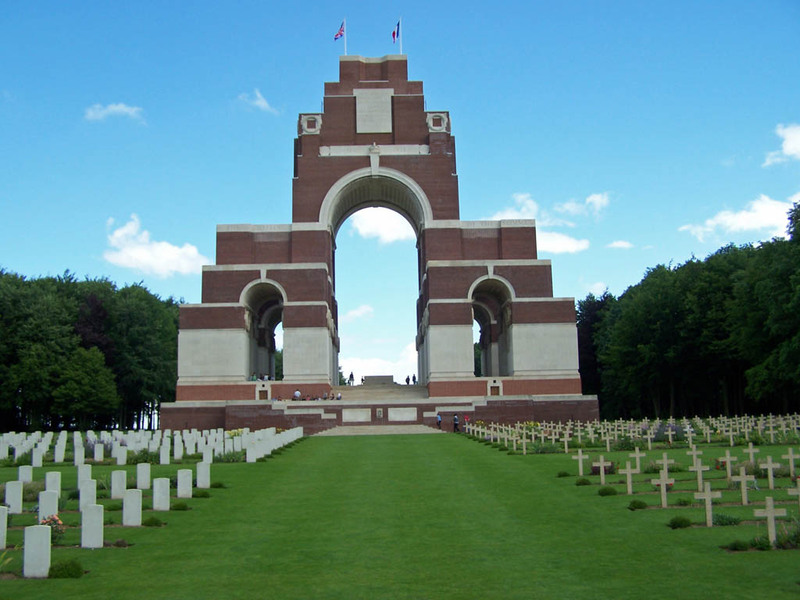 First Ypres has often been referred to as the graveyard of Britain's, small, but very professional army. We do not know when Arthur joined up with the Battalion. 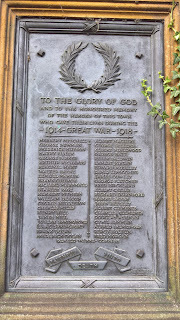 He was not in uniform early enough to have been in the Mons retreat, but if he had been a peacetime soldier, reserve or territorial, as the rank suggests, he could have been at Ypres. Certainly he quickly gained promotion, as 12 months after entering the army he was a sergeant in the Battle of Loos. The battle started in the north of France on September 25th 1915 with the objective of dislodging the enemy from defensive positions in the mining region between La Bassee and Loos. North of the canal, on the extreme left flank, were Indian troops and south of the canal was the 2nd Division. Despite early gains along the front, they were not sustainable and casualties were very heavy. Arthur was reported missing on day three, September 28th. Iremonger - A.T. Sergeant of 1, Tilston Villa, Eton Wick, enlisted as a lance corporal 9.9.14, is reported as wounded in France, September 28th 1915. Sergeant Iremonger of Eton Wick as "missing". Nine months later the Windsor & Eton Express, dated 2.9.16., printed an appeal for information with “regard to the notice of missing'". Four weeks later, on October 7th 1916 the same local paper stated that Alfred was now confirmed as killed on or about the date of December 25th 1915. This was the date he was originally reported as missing. In the confusion of battle, with about 60,000 casualties, ground being gained and then lost, and many men being taken prisoner of war, the uncertainty is not surprising. Not quite so understandable though is the information given by the C.W.G.C. whose report states that he was killed on September 28th 1917 (approximately 21 months later) and that he has no known grave, but is commemorated on the Thiepval Memorial, Pier 11, Face D. The local paper had first reported him as wounded on September 28th 1915, and I can only conclude that there is an error of the year recorded by the C.W.G.C. 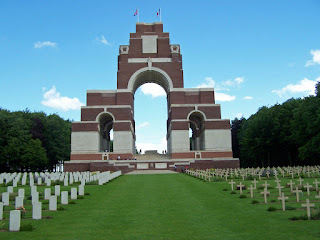 The Thiepval Memorial records the names of 73,412 missing men with no known graves. It is situated in a commanding position five miles north east of the town of Albert. Presuming the newspaper report to be correct, Arthur was 25 years old. If the C.W.G.C. is correct, he was 27. There is no apparent evidence of married status. 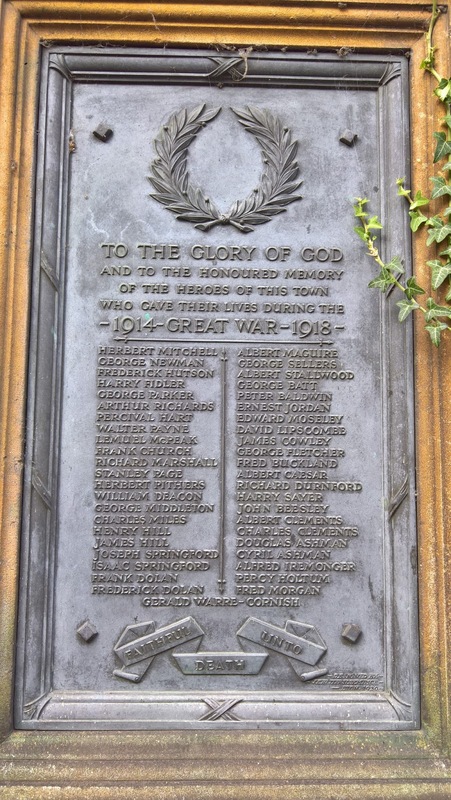 Arthur Iremonger's name is on the Eton Wick Memorial, and also on the Eton Church Memorial Gates.